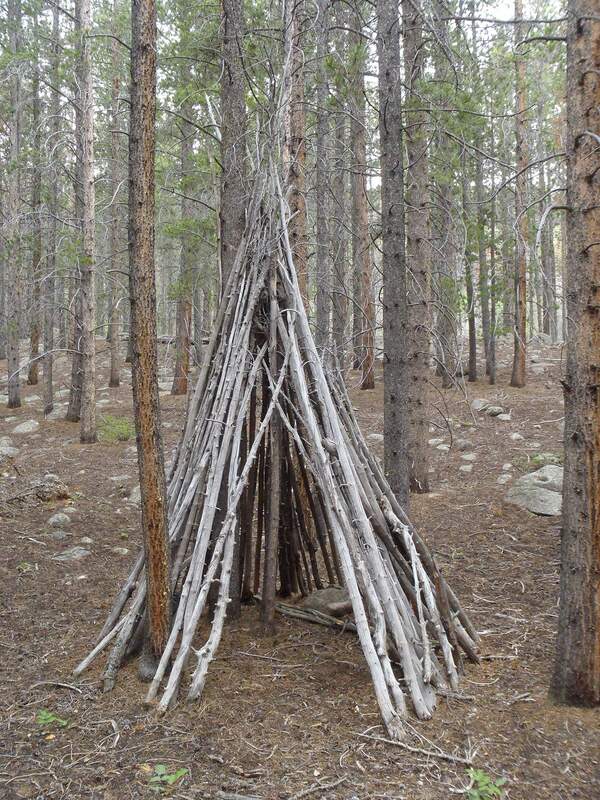 The Colorado Wickiup Project has identified a number of wooden shelters built by Utes, known as wickiups, mostly in Northwest Colorado. The project hopes to document the structures in Southwest Colorado. For years, archaeologists have been documenting hundreds of wooden shelters left by Native Americans in northern Colorado, in a time-is-of-the-essence project as the land reclaims the historic structures. Now, archaeologists are turning their attention to the largely undocumented southwestern region of the state before it’s too late. Wickiups served as basic, temporary structures for Native people who were on the move, either to hunting lands or ceremonial sites. “It is a rush with time to get them documented before they’re all gone, which is going to be in next generation or two,” said Curtis Martin, an archaeologist who leads the Colorado Wickiup Project. 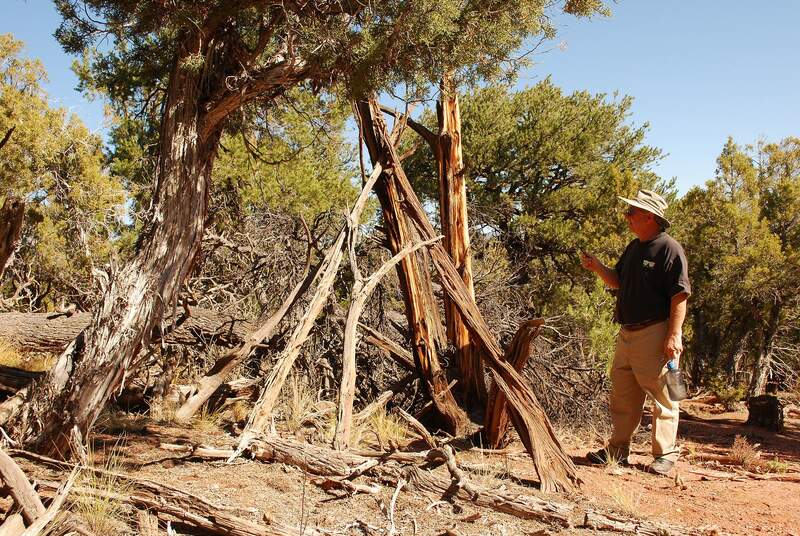 Archaeologists have been recording the wooden shelters, widely known as “wickiups,” for decades, but a concerted effort was started in 2003 when the Dominquez Archaeological Research Group, based in Grand Junction, started the Wickiup Project. 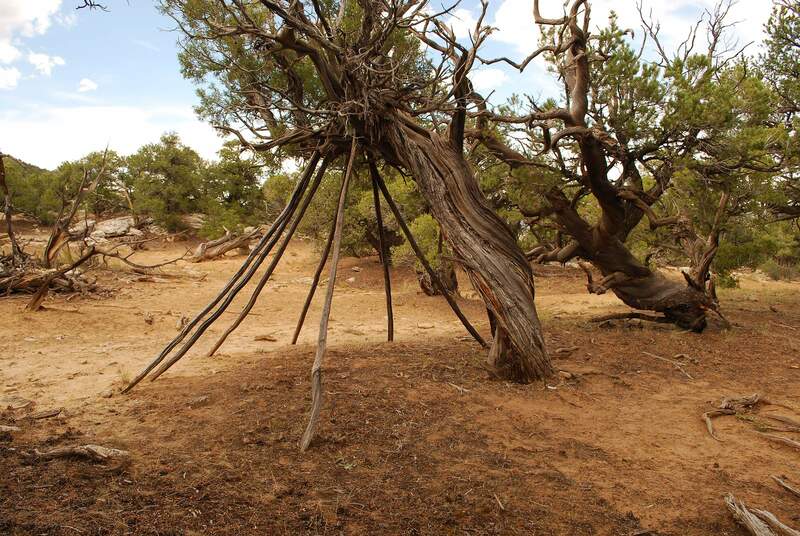 The term “wickiup” is the word used by archaeologists for the shelters. Native American tribes have their own words for the structures. Made by stacking wooden logs in a cone form, they served as basic, temporary shelters. Martin said wickiups were used more as bedrooms than houses. 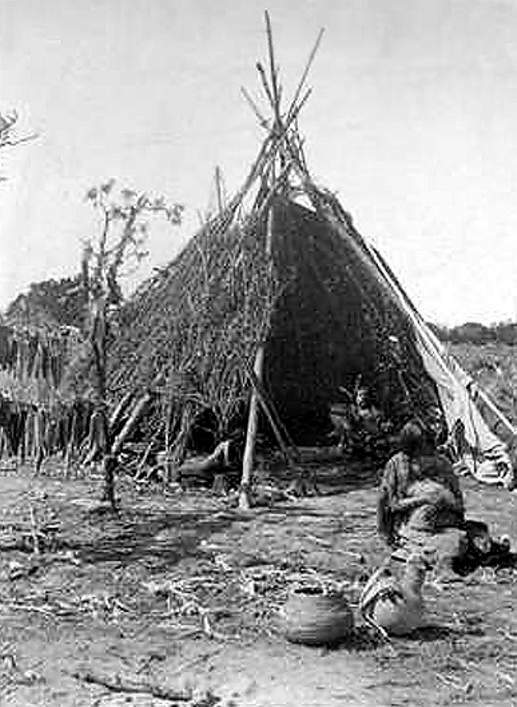 The average shelter was about 4- to 5-feet high and was used only for a short time, likely when Native people were on the move hunting or visiting ceremonial sites. To date, the Wickiup Project has documented 235 wickiups at 99 sites. The project has focused mostly on the Uncompahgre Plateau and Northwest Colorado, on lands the Ute tribe occupied before Western settlers took their land through various treaties. Martin hopes the scope of the project will soon expand. Curtis Martin, who is leading the Wickiup Project, says valuable information can be gathered from studying wickiup sites. For instance, there was evidence Utes remained in Colorado, even after Western settlers banned them from the land. In Southwest Colorado, the Southern Ute Indian Tribe, south of Durango, and the Ute Mountain Ute Tribe, near Cortez, will participate in the documentation project. Lindsay Box, a spokeswoman for the Southern Ute tribe, wrote in an email that the tribe is partnering with the Wickiup Project to identify wickiup sites in an effort to preserve and protect them, but she declined to comment further. For Native Americans, documenting and protecting wickiups is important to honor the land and the people who came before, especially for future generations, said Regina Lopez-Whiteskunk, a former councilwoman for the Ute Mountain Ute Tribe. Utes once occupied a vast swath of the West before a series of treaties forced them onto reservations. Still, evidence of their occupation of lands can be seen through historic sites like wickiups. Documenting the sites is a delicate act. Native people believe that, out of respect for their ancestors, historic sites should not be disturbed and items should never be removed, which can conflict with the way archaeologists conduct field work. The best way to resolve this conflict, Lopez-Whiteskunk said, is for archaeologists to consult with tribes before conducting any work. The wickiups certainly have a story to tell. Archaeologists believe indigenous people have been using some form of wooden structures for shelter for at least the past 20,000 years. There’s evidence in Siberia, for instance, of similar structures that date back 18,000 years – but those were made of mammoth bones. 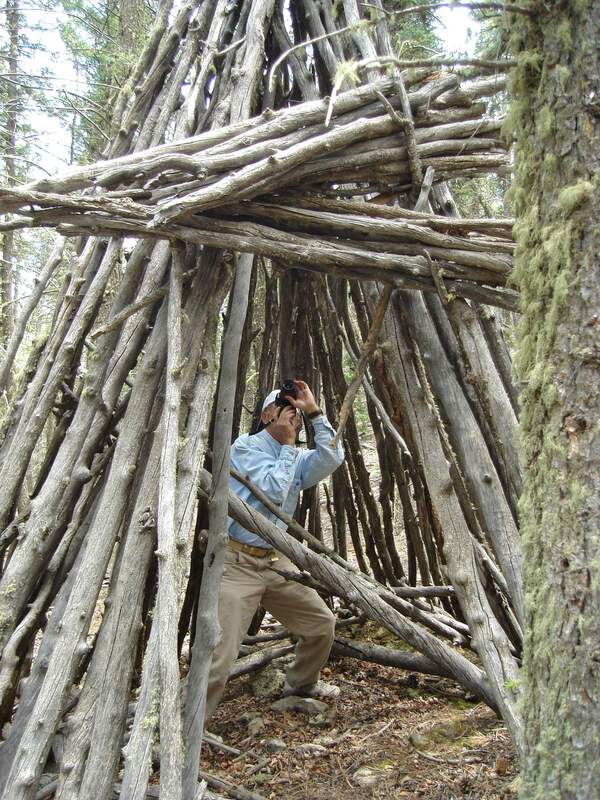 Since 2003, the Wickiup Project has been documenting wickiups before they deteriorate. Once it hits the ground, a wooden wickiup can quickly disappear. The oldest shelter the Wickiup Project has been able to confirm dates back to 1795. Some sites might be older, but current technology is not able to confirm that, Martin said. The only way to date the structures is to find wooden poles Native people cut with metal axes, which allows archaeologists to date the year the live tree was cut. Before metal axes, tribes did not typically cut live trees. 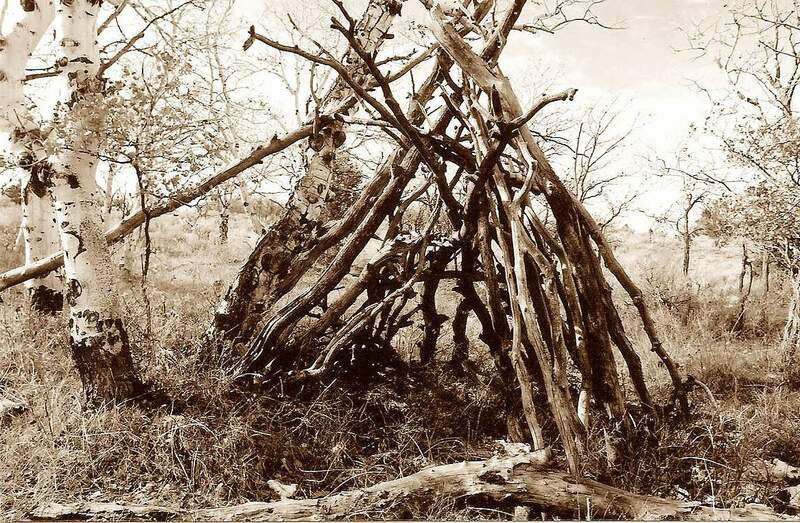 But perhaps more interesting than the oldest shelter, Martin said, is the most recently built wickiup archaeologists have found, which dates to 1916 – a time when Utes were taken off the land, prohibited from entering Colorado and put onto reservations. That’s not something you typically find in the history books, Martin said. “They were still here, living under the radar, away from people,” he said. Conner said structures documented just 20 years ago have fallen to the ground and disappeared, reinforcing the haste of the project. Native people used the resources around them to survive. Regina Lopez-Whiteskunk, a former Ute Mountain Ute councilwoman, said indigenous people have an inherent respect for the land. Lopez-Whiteskunk, however, said that even when the structures disappear, the story of Native people and how they lived on the land remains, passed down from generation to generation, through storytelling. The Ute creation story says Native people were made and left to live in the mountains. Lopez-Whiteskunk said a deep respect of the land is inherent to indigenous tribes, who used the resources around them and always tried to not leave a trace. This article has been updated to clarify Regina Lopez-Whiteskunk is a former Ute Mountain Ute council member.